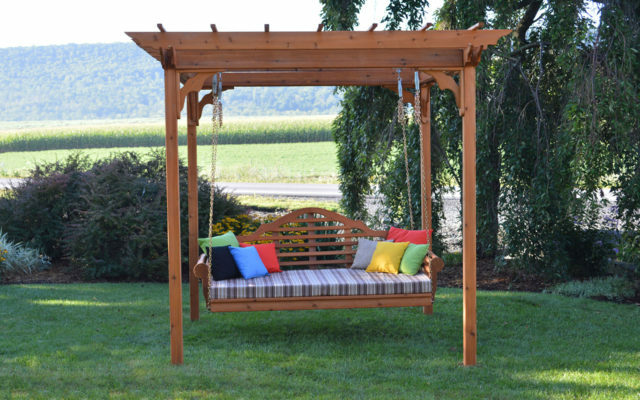 At Dutch Country General Store we carry only the best quality, carefully crafted outdoor furniture pieces, many of which are handcrafted by Amish families. These durable items will be loved by your family and friends and will last for decades to come. Our beautiful poly furniture is not only fully weather-resistant, but these pieces of furniture are also fade, splinter, split, and crack proof! Plus, with stainless steel hardware, they’re also guaranteed not to rust. We are pleased to be able to bring these heirloom pieces to you at very reasonable prices and with a 90-day money back guarantee. Take a look around, place an order, email us or give us a call at (641)722-3678 for more information.